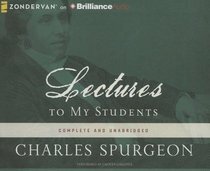 As were all of Spurgeon's messages to his people, each of these lectures is Scripture-saturated and Christ-honoring. They move swiftly and are fascinating in their content and sage counsel. About "Lectures to My Students (Unabridged, 18 Cds)"